"Danger Close is Ottawa’s newest milsim paintball squad. Started by its current CO, Tyler “Woody” Wood in November of 2010. 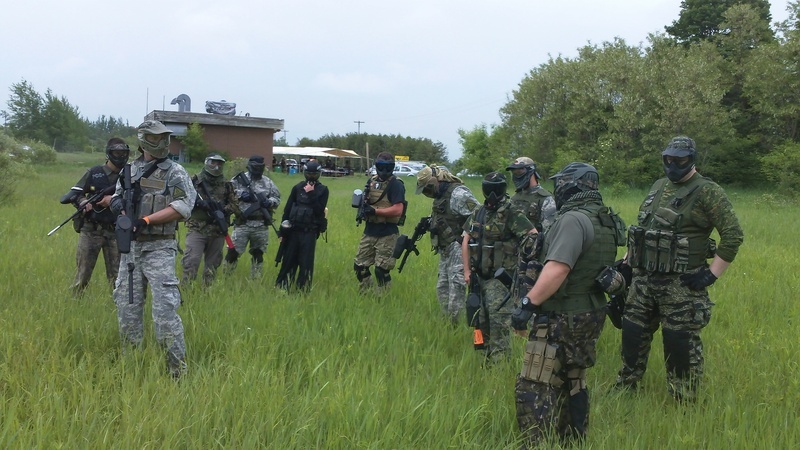 It has rapidly grown from a few interested friends to become a multiple fire team force. The squad is loosely organized around Fire Team Leaders with a Commanding Officer in charge overall. 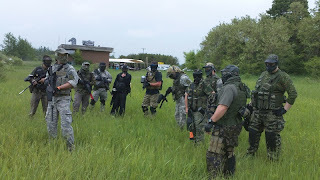 We’re aiming at just enough structure and squad discipline to be effective on the field, but you won’t find any organizational charts or rank for its own sake. Danger Close trains regularly to become more effective at marksmanship, Fire Team and Squad-level maneuvers and because we love training!" "We believe in fair play, good sportsmanship and respect for our opponents (unless they wipe then they get bonus balled). We check our egos at the door and work hard to support each other on and off the field. 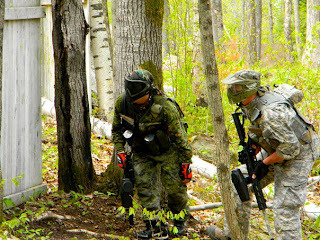 If we’re not accomplishing our objectives at a big game in the Ottawa area, you can find us most weekends training at our home field, JT’s Frontline Paintball."